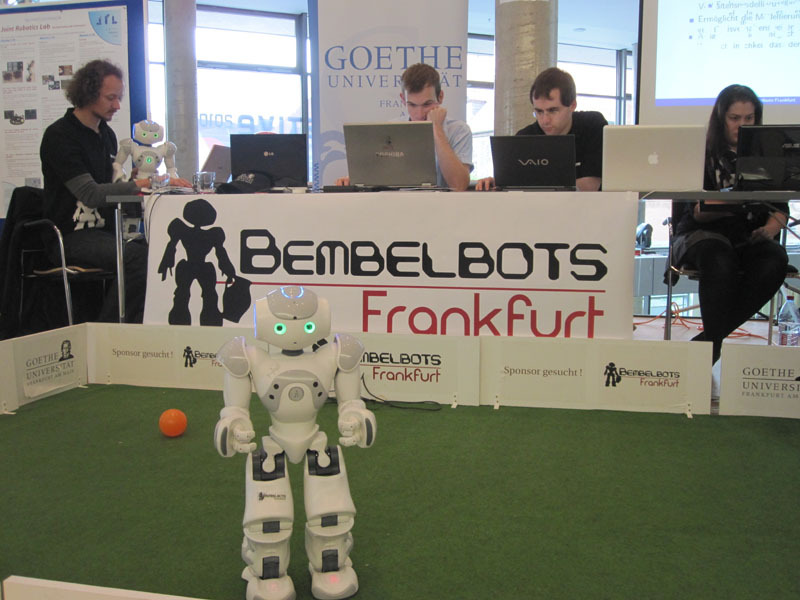 The RoboCup team of Goethe University Frankfurt took part in the science exhibition Innovative 2010 at Congress Park Hanau. 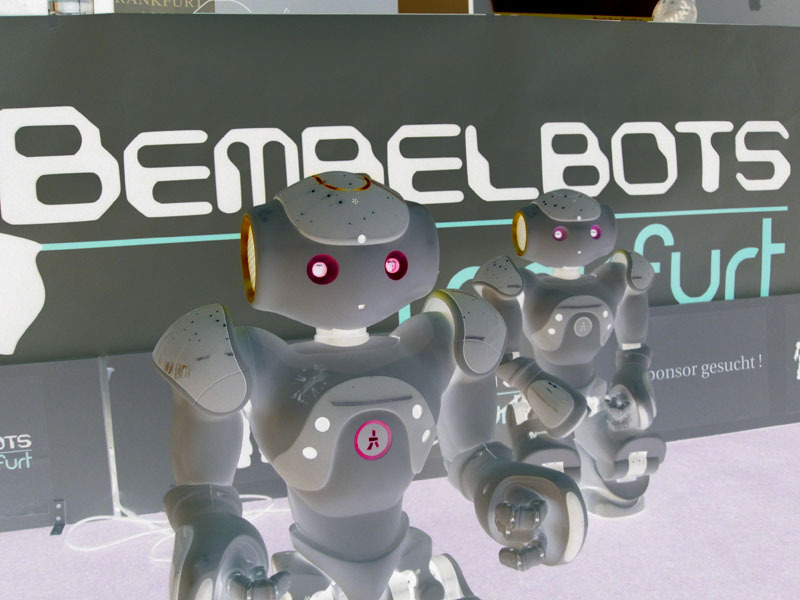 On two days, September 27th and 28th, the team proudly presented their Nao robots to the public and showed new features of their software framework. On the first day, the fair was intended for the interested public; whereas the second day was dedicated to students from schools in and around Hanau. 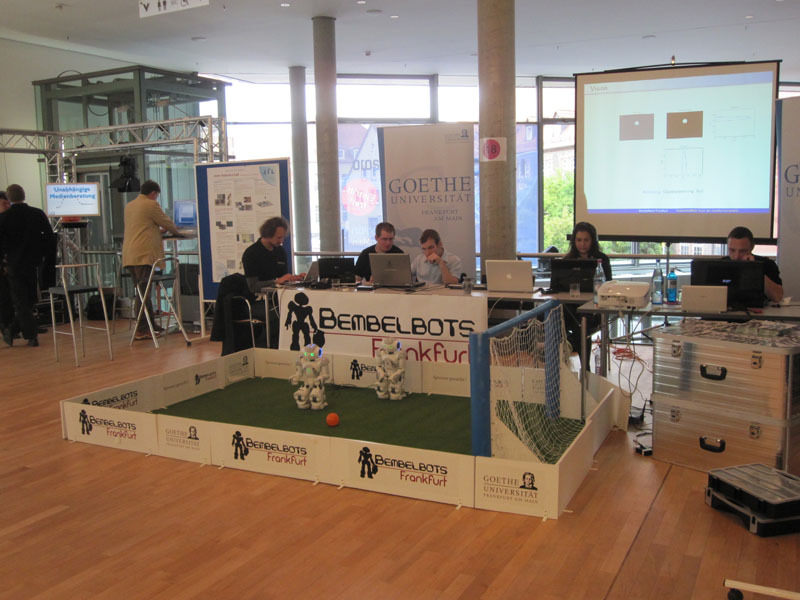 We enjoyed to show our robots and explain what computer scientists do at university. 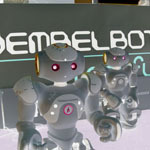 Innovative 2010 had a good echo in the local media. 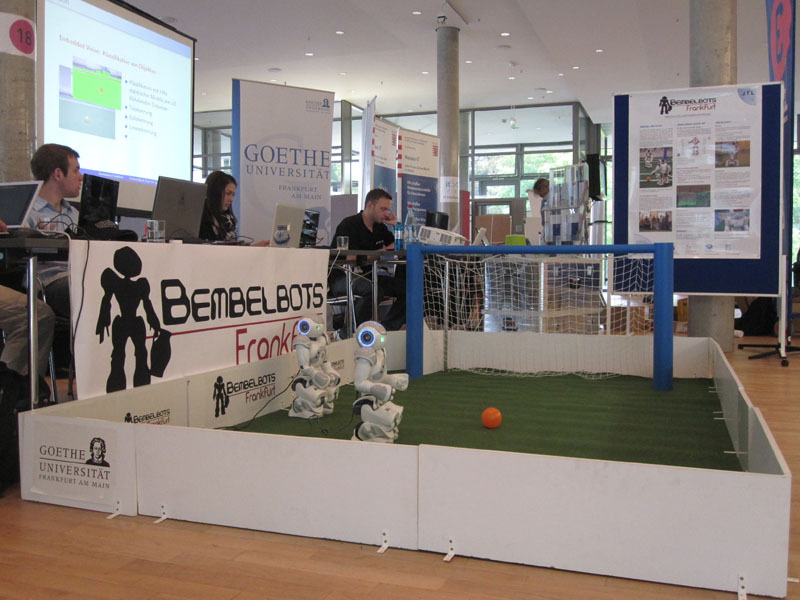 For example see FAZ, “Damit Roboter einmal den besten Fußball spielen”, Bericht zur Messe Innovative 2010, 29.09.2010 and Frankfurter Rundschau, “Zukunft gesucht”, Bericht zur Messe Innovative 2010, 28.09.2010 (in German).